The American frontier, 1899. The tailend of the Wild West. Following a robbery gone wrong, Arthur Morgan and the Van der Linde Gang, a company of outlaws and renegades, are forced to flee the settlement of Blackwater. On the run from federal agents and bounty hunters, Arthur and the gang are forced to rob, steal, and fight their way across the heartland of America in order to survive. Tensions deep. Loyalties tested. Ideals compromised. Sacrifices made. Welcome to Red Dead Redemption II. This game is presented in an open world format, one that can be freely explored at your own pace after completing the opening Chapter. As such, you can choose to explore the world’s riveting narrative, side missions, miscellaneous activities, and other hidden secrets however and whenever you’d like. With a narrative spanning upward to around sixty hours and an achievement list that encourages experimentation and exploration across the Single Player and Online portions of the game, be prepared to spend a considerable amount of time with Red Dead Redemption II. Red Dead Redemption II is a massive open-world adventure and as such, there is no recommended strategy in how you should go about your playthrough. As you play through the main storyline, you will unlock ten story-related achievements; there are an additional two achievements for attaining 100% completion and earning 70 Gold Medals in Story missions. Please refer to the “Best in the West” and “Gold Rush” achievements in the guide below for further details. As you progress through the game, you may soon feel very overwhelmed by the vast amount of activities and side missions spread across the American frontier. Unfortunately, there are four missable achievements tied to your camp(s) that you will want to make note of very early on in your playthrough; these missable achievements are: “Lending a Hand,” “Friends with Benefits,” “Give to the Poor,” and “Errand Boy.” Other than these pesky tasks, nothing else is missable; play at a comfortable pace and try to indulge in everything the world has to offer. There are around two dozen miscellaneous achievements that are not directly tied to story progression. Tasks such as playing all available mini-games, robbing and donating and spending money, and completing ten side missions are just the premise of these achievements. Some of these tasks are fairly simple and progress will be made naturally without much thought. There are a few, however, that will require planning and patience, such as surviving three days while holding a bounty in all states, crafting thirty unique items, skinning and studying every animal, and reaching a max bonding level with a horse. Once again, none of these miscellaneous achievements are missable, allowing you the freedom to work on them at your own pace. Red Dead Online offers an open world experience to be shared with other gamers. It extracts numerous elements from the Single Player—most notably the countless activities and missions to participate in—while blending online components such as matchmaking and shared free roam. There are a total of seventeen achievements tied to this portion of the game, with “Notorious” being the milestone grind for reaching Rank 50. While working on this achievement, you’ll naturally earn progress toward some of the smaller milestone-based tasks, too: take part in a Series, accept ten Free Roam missions from NPCs, play five Free Roam Events, achieve five gold belt buckles from awards, and earn the MVP status three different times in a match. The rest of the achievements are simpler feats and you will also undoubtedly chip away during your time online. These smaller feats include owning five horses at once, purchasing five camp improvements, crafting and selling items, and picking herbs. Overall, there are no missable achievements in this portion of the game, so play as you wish and have fun in Read Dead Online. If you have missed any Single Player or Online achievements during your time on Red Dead Redemption II, hop back into either portion of the game and finish up whatever it is you’re missing. It’s very likely that you will need to hunt down some more animals and collectibles, obtain a few dozen more Gold Medals in the Single Player, or even continue your journey towards Rank 50 in Red Dead Online. At any rate, make sure you snag the remainder of these achievements and refer to the guide below for details on particular tasks that require supplemental assistance. Red Dead Redemption II is an immense, immersive, and all-around incredible gaming experience: a beautifully realized world; a compelling narrative; enjoyable subplots and characters; boundless activities; untamed creativity. The game’s achievement list is also a treat, encouraging players to test out the varying gameplay features and rewarding those who take the time to complete every last activity, collectible, and mission present in the American frontier. Thank you, Rockstar, for a wonderful, at-times-bizarre, and memorable action adventure. This achievement is highly missable. In Red Dead Redemption II, Honor story missions are optional missions that you can complete throughout each Chapter of the narrative. These missions will be marked on the mini-map and world map with a traditional yellow mission icon; however, some of these missions are also marked with a white “Stranger Mission” icon. Please take note that some of these missions are time sensitive and you will often need to me specific prerequisite requirements in order for them to be available. Please refer below for a checklist of all optional Honor story missions that must be completed during your playthrough in order to unlock this achievement. NOTE: You must play honorably from the start of the game in order to trigger the “Do Not Seek Absolution” mission during Chapter 6. This mission will only be available if you have an Honor Level 4 in Chapter 6. Please refer to the “Extreme Personality” achievement for more information on how to increase your Honor Level. If at any point you want to check on your progress for this achievement, pause your game and go to Progress > Total Completion. In Red Dead Redemption II, all of the story and side (Stranger) missions have, on average, three or four specific requirements that will net you an overall Gold Medal once they have been completed. These requirements range from completing a mission under a certain amount of time to getting a specific number of headshots and other unique tasks. There are a total of about 117 missions to work with for this achievement. As such, there are plenty of missions to pick and choose from here. Once you complete a mission, you can replay it by pausing your game and going to the “Story” tab in the Pause Menu. Here, you can view a mission’s requirements before replaying it. Please keep in mind that unlike GTA V, each of the mission’s requirements must be completed in one single run. In other words, if you complete two of three mission requirements and then go to replay the mission later on via your Story Log, you must complete all three requirements on that replay; you cannot just complete the one requirement you originally missed. NOTE: When replaying missions, the game will temporarily take away your items and weapons and give you a default set. This can, at times, lead to certain missions becoming more more difficult to earn a Gold Medal on during its replay. If you prefer to work towards Gold Medals on your initial playthrough of each mission. At the start of almost every Chapter, the Van der Linde Gang will set up camp. In each of these campsites, you will be able to engage in one of many random Companion Activities with other members of the gang. There are several activities you can complete, but for the purposes of this achievement you will only need to complete one activity per camp. Please refer below for a checklist of all optional Companion Activities broken down by Chapter/camp. It’s worth stating again that these Companion Activities are somewhat random in regards to their availability. The achievement will unlock once you have completed at least one Companion Activity in each of the camps. Fortunately, you don’t even need to win each of these four mini games. All you need to do for this achievement is sit down at the game table and complete a single round/match. Across the frontier, there are seven homesteads. These homesteads can be looted for generous rewards such as collectibles, money, and weapons. You can begin raiding and looting homesteads once you start Chapter 2 (the last of the homesteads listed below only becomes available in Chapter 6). It’s highly recommended to work on this achievement as early in your playthrough as possible to avoid any complications (late-game, homestead inhabitants may disappear, which may prevent you from interrogating them for clues on the homestead’s hidden stash). 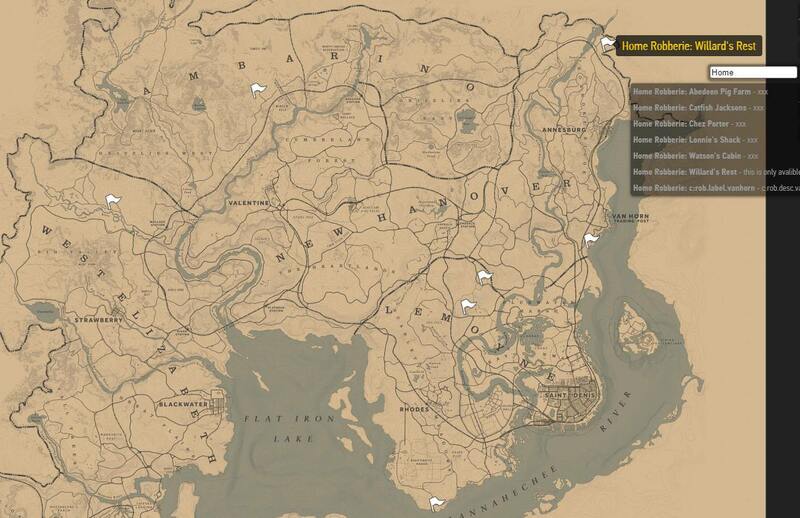 Please refer below for a list and reference map of all seven homesteads in the game. This achievement will require you to complete the Stranger mission “A Bright Bouncing Boy” during Chapter 4, which can be started by speaking with Marko Dragic by the small pond just southwest of Saint Denis. This Stranger mission is made up of three individual missions. The first of these is quite simple and self-explanatory. In order to trigger the second mission, you must wait 24 in-game hours and then meet Dragic in Dover Hill (top right corner of the map) between 9PM-5AM. After completing the second mission, you will need to wait 48 in-game hours (you can use a campfire and sleep nearby to skip time) before returning to Dragic’s lab from the previous mission to discover the man’s fate. This achievement will most likely come naturally over the course of your playthrough. As you are taking on Story missions and Stranger missions, just make sure to loot dead bodies frequently. Most of the enemies in the game only have a few cents on them, but over time it adds up (naturally). On the other hand, some of the rewards you obtain from Story missions will yield hundreds of dollars. You should have no issue unlocking this achievement a dozen hours or so into your playthrough. In each of the campsites, there is a tithing box that, when first introduced, Dutch suggests all members of the Gang make a small donation toward whenever possible. For the purpose of this achievement, you must donate a cumulative total of $250 to the tithing box; it does not have to be a lump sum of $250. This achievement is considered missable because once you complete Chapter 4, the tithing box is no longer an item. Thus, make sure to loot enemy bodies frequently for money and donate some cash and/or valuables to the tithing box during Chapters 2, 3, and 4. NOTE: If you’d like to save your money, you can create a manual save before donating $250 at once to the tithing box and then reload your save once you unlock the achievement. This achievement is extremely straightforward. All you need to do is purchase clothes, food, horses, weapons, provisions etc. from the shops in town to gain progress toward the $5,000 mark. This will most likely come naturally over the course of your playthrough as you purchase new clothes for Arthur and upgrades for your weapons, so there is no need to worry about grinding this out. NOTE: If you’d like to save your money, you can create a manual save before buying $5,000 worth of items at once and then reload your save once you unlock the achievement. The earliest you can unlock this achievement is after completing the main story mission “Paradise Mercifully Escaped!” in Chapter 5. The Honor system in this game works as such: dishonorable actions involve killing innocent NPCs, looting their bodies, and disrespecting the law; honorable actions involve sparing enemies, completing optional Honor story missions for your companions at camp, and respecting the law. Your Honor level directly effects how the world reacts to Arthur Morgan; the more Honor you have, the better prices will be in stores. At any point in the game, you can view your current Honor level by tapping on the d-pad. This will bring up the Honor level bar; dishonorable actions will cause the slider to crawl its way left, while honorable actions will move the slider to the right. Naturally, reaching the minimum Honor level is much easier since all you need to do is kill and loot the many NPCs you encounter of the course of the game. That being said, because you need to reach Honor level 4 in order to trigger the “Do Not Seek Absolution” Honor story mission in Chapter 6 for the “Lending a Hand” achievement, it is highly recommended to play honorably over the course of your playthrough, even though it will take longer to obtain this achievement. 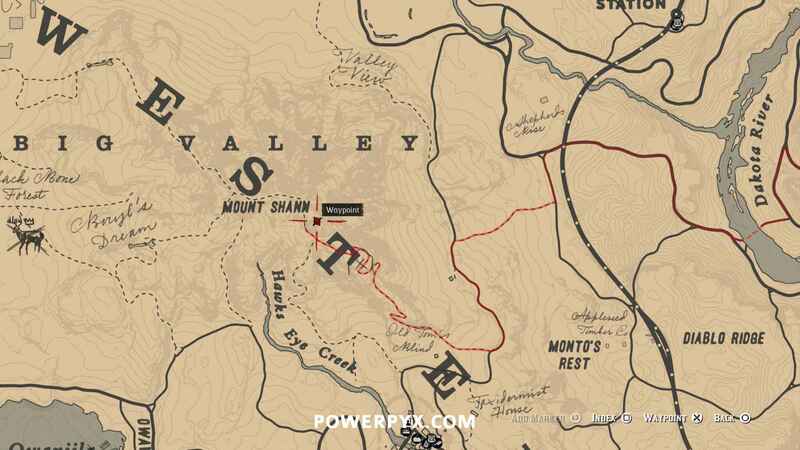 In Red Dead Redemption II, Stranger missions are optional side missions that appear on the mini map and world map with a white question mark icon. There are more than two dozen Stranger missions in the game, but you will only need to complete ten of them for this achievement. Fortunately, none of these Stranger missions are missable; you can still find and complete them after completing the main narrative of game. If you need to keep track of your progress at any time, pause your game, and then check your stats under Progress > Total Completion > Strangers. There are four different sets of Collectible strands that will count towards this achievement: 144 Cigarette Cards, 30 Dinosaur Bones, 10 Rock Carvings, and Exotic Objects. Since the Rock Carvings have the least amount of collectibles for its strand, this solution will focus on Rock Carvings. First, you will need to initiate the “Geology for Beginners” mission, which can be triggered by visiting Francis Sinclair’s hut northwest of Strawberry. Second, you’ll then have to find all 10 Rock Carvings around the frontier. Next, visit any post office, send all 10 coordinates to Francis Sinclair via mail, and then wait/sleep for 24 in-game hours. Now you can return to the post office, obtain a letter from Sinclair, and return to his hut in order to complete the mission and unlock the achievement. If you need some help finding Sinclair’s hut and the 10 Rock Carvings, see the video guide. This achievement can be done at any point during your playthrough, but it’s suggested to attempt this late-game. Once you are ready to do this, create one or two manual backup saves and turn off the autosave feature. In order to receive a bounty in any of the other four states, you will need to head to a populated town and start causing trouble (killing innocent civilians, robbing shops, etc.). When your crimes are witnessed and reported to the law, you will receive a bounty; the more trouble you cause, the higher the bounty. You can check your bounties in each state by opening the world map; when hovering over a state, you will be notified with the bounty amount and there will be a faint red outline around that state. Because there are no major towns in Ambarino, it may be difficult to receive a bounty in the state. That being said, all you need to do is kill any civilian, stow them on your horse, and ride into Ambarino. Eventually, a passerby will see the dead body on your horse and contact the law. Then, three waves of authorities will show up. Kill them and repeat this process until you have the required bounty for Ambarino. Once you have a bounty of $250 in all five states, simply set up camp anywhere in the wilderness where it’s safe and sleep for three days. Once the third day passes, the achievement will finally unlock. You can then reload your backup save (and turn on autosave) so that you don’t have to waste any money paying off these five bounties. While hanging around the camp, certain members will, at random, approach you and request specific items. These requests are then moved to your mission log; if you need to view an item request at any time, press on the d-pad. As mentioned, these requests are completely random, so you’ll just need to make trips back to the camp frequently during your playthrough in order to trigger them. Fortunately, there are almost two dozen item requests available in the game. Please refer below for a checklist of most of the item requests broken down by Chapter/camp. Sadie: She wants a harmonica; you can fine one on the shelf of a hut at Flatneck Station. The achievement will unlock once you have completed a total of five item requests during your playthrough. After completing the “Exit Pursued by a Bruised Ego” Story mission in Chapter 2, you will be able to set up a makeshift camp in the wilderness at any time. To do this, hold to open the radial menu, tap to open the Items tab, and then select the “Crafting Camp” option. Alternatively, holding while standing almost anywhere in the wilderness will allow Arthur to kneel and rest. While resting, you can craft items by holding . Once camp has been set up (or the crafting menu is opened while resting), you can craft a variety of unique items (consumables, food items, special ammunition, etc.). Naturally, you will need specific materials to make these items (meat, pelts, plants, etc. ), but so long as you are hunting often and looting whenever possible, you should have enough materials over the course of your playthrough to get this done without too much trouble. NOTE: It’s worth noting that Trinkets and Talismans that can be crafted from the Fence will count towards this achievement. The Animals in Chapter 5 (Guarma) are NOT needed to unlock Zoologist & Skin Deep. Apply due to certain animal can only be collected after Chapter 6. During the “A Fisher of Men” mission in Chapter 2, you will learn how fishing works in the game. After completing this mission, head to Gill Landing (a small fishing hut near the shore of Flat Iron Lake) in New Hanover and speak to the fisherman on the dock. He will give you a map of all thirteen Legendary Fish around the frontier (this solution does not focus on catching a Legendary Fish, however). Now make your way toward the Bait Shop in Lagras, a small lake in the bayou just northwest of Saint Denis. Speak with the merchant at the Bait Shop and buy the Special Swamp Lure ($20). Next, run down toward the dock of the Bait Shop, equip the fishing rod with the Special Swamp Lure, and get fishing. Most of the fish in this lake are very large in size so you should have no trouble catching a 16lb+ fish within a few minutes. If you prefer a visual guide for this solution, see the video. To upgrade each available component for a gun, you’ll first need to find a Gunsmith. Gunsmiths can be located within most towns, but the first opportunity you’ll have to visit one is in Valentine during Chapter 2. The achievement will unlock once all four components have been upgrades. NOTE: If you’d like to save your money, you can create a manual save before buying the upgrades and then reload your save once you unlock the achievement. As you explore the wilderness of the world, you will often encounter bears. During Chapter 1, you are informed to avoid bears when possible as they are dangerous beasts. For the purpose of this achievement, however, you will deliberately want to engage with bears, on foot. Once you are in a bear’s line of sight, allow the beast to attack you. During the animation, press quickly to escape its insta-kill attack. You will roll around, remain on the ground, and then have a short window to shoot the bear before Arthur stands up. You will need to kill the bear during this short post-attack window (again, before standing up) in order for it to count towards this achievement. Naturally, you will most likely not be able to kill the bear during this time unless you have a powerful weapon (like a semi-automatic shotgun), so it would be wise to weaken the bear a bit before allowing it to attack. Bears can be found in a variety of regions around the game world, but the Grizzlies East region in Ambarino is probably your best bet in finding these beasts. If you want to grind this out on a single bear as to avoid finding eighteen different bears over the course of your playthrough, you can make a manual save once you spot a bear, proceed with killing it as detailed above, and then reload your save and repeat the process as needed. During Chapter 1, you will learn about bonding levels with horses once you take the Tennessee Walker from the barn in the O’Driscoll’s hideout. In order to unlock this achievement, you need to reach bonding level 4. You can check your current bonding level at anytime in the Pause Menu by going to Player > Horse > Bonding. There are four main actions you can perform to your horse in order to raise its bonding level. The first three require you to stand next to the steed and hold . This will open up the “NPC interaction” menu on the bottom right-hand corner of the screen. You can then choose to brush, feed, or pet the horse (you will receive a brush during the “Exit Pursued by a Bruised Ego” mission in Chapter 2). Lastly, the simple act of riding the horse without depleting the stamina core will also contribute to raising the bonding level. All in all, this achievement will most likely come naturally over time—and relatively early on in your playthrough—so long as you stick to the same horse during your travels. It’s highly recommended to always have at least one or two Horse Revival Tonics on hand just in case your horse dies (this ensures you do not lose a horse with a near maxed out bonding level). The Online component to Red Dead Redemption II will release sometime in November. Please see “Notorious” for more information. This achievement is story-related and cannot be missed. Once you have completed the main storyline, you will be able to find the graves of your fallen companions spread out across the American frontier. In order to obtain this achievement, you will first need to complete all five Hunting Requests for Ms. Hobbs. Please note that the fifth of these Hunting Requests will only be available in the Epilogue, after you have completed the main storyline. First off, four of these five Hunting Requests are available right at the start of Chapter 2. They can be initiated at any time by reading any of the Hunting Request posters inside the Post Offices of Valentine, Strawberry, Rhodes, or Saint Dennis. Each individual request will task you with hunting two to five animals and collecting their perfect carcass (as a reminder, only 3-star animals will yield a perfect carcass). Once you have the necessary carcass(es), you will need to head back to a Post Office and mail them to Ms. Hobbs. Then, you will automatically receive the next Hunting Request. Keep in mind that carcasses decay over time; head to the Post Office immediately so that they don’t go bad. Please see below for a short checklist of the animals needed for each request. Once you have completed all five Hunting Requests, you will then receive an invite via mail from Ms. Hobbs. She asks you to visit her hut (it’s located just east of Strawberry). You will be awarded with the Squirrel Statue upon visiting Ms. Hobbs. Now visit your farm, Beecher’s Hope, near Blackwater (this is only available after the main storyline has been completed) and place the Squirrel Statue above the fireplace. Next, sleep for a full in-game day and, when you awake, you will find that the Squirrel Stature has disappeared. You will need to find the Statue, replace it on the fireplace, sleep for another day, and then repeat this process a few times. Luckily, the Squirrel Statue has a few fixed locations and they are all around the homestead. Just search in all of these places until you find the Statue. The achievement will finally unlock once you wake up to find the Squirrel Statue has not been moved from its place on the fireplace.